The ATI erc gGmbH – Agency for technology transfer and innovation through education, research and promoting cooperation – is a subsidiary of the regional economic development agency ATI Westmecklenburg GmbH, Germany. The nonprofit company was founded for the planning and implementation of training programs, to support technology transfer between research institutions and industry and for the promotion of cooperation in particular through the implementation of EU projects. Our offices are located in Schwerin, Wismar and Greifswald. Our interdisciplinary team consists of employees working in the fields of education, administration, business and regional development. The ATI erc gGmbH has years of experience in project management with national and European funding and cooperates with a network of local, regional and European partners from industry and science. Currently we are working within the European projects “More Baltic Biogas Bus” within the Baltic Sea Region Programme and “Martech LNG”, “Southern Baltic Technolympics” and “BAYinTRAP” within the South Baltic Region Programme. The Technology Center Vorpommern (Technologiezentrum Fördergesellschaft mbH Vorpommern (TZV)) supports companies with their settlement and paves the way for ones self-employment. We provide not only a modern infrastructure with our offices, laboratories, conference- and seminar rooms but also competent advice and support for business start-ups as well as for those that are already established. We support firms from the first planning stage over to the product launch and establishment in the market. The TZV is supporting the ATI erc gGmbH during this project with manpower and organisation support. 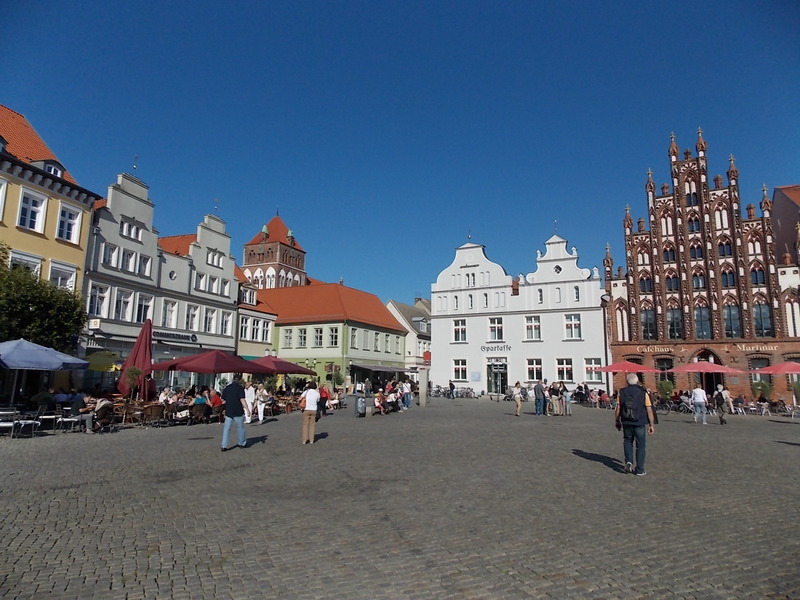 Greifswald is an old Hanseatic and University town with about 60.000 inhabitants. It was founded in the 13th Century and is located in the northeastern part of the federal state of Mecklenburg- Western Pomerania at the Baltic Sea close to the beautiful islands of Rügen and Usedom which are popular tourist destinations. The University is the second oldest in Northern Europe. 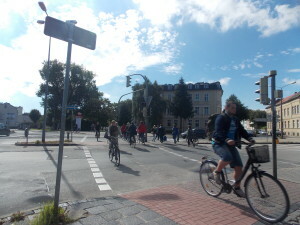 Today, Greifswald is a modern university and science place – and one of the youngest towns in Germany. It has about 12.000 students. Furthermore about 70 scientific institutes, research institutions and companies take advantage of the innovative spirit as well – like for example the Federal Research Institute for Animal Health, the Max Planck Sub-Institute of Plasma Physics or the Leibniz Institute of Plasma Research and Technology. 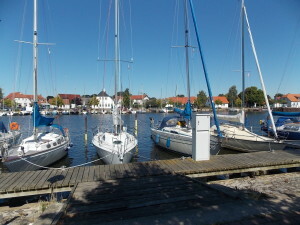 Greifswald is also known for its famous painter Caspar David Friedrich who was one of the most important artists of the period of Romanticism. The city has a vital cultural life and several works of the well-known artist, among them the „Ruin Eldena in the Riesengebirge“ can be seen in the Pomeranian Regional Museum. With its museal harbour and the medieval brick architecture Greifswald offers a maritime touch. 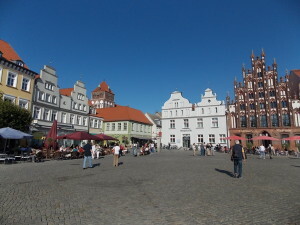 Also the old market place with its unique brick buildings is one of the attractions of the city. Even today, Hanseatic gabled houses in the historical old part of the town give evidence of the town’s prosperity. With its many, well-preserved brick buildings, Greifswald ranks among the most important towns along the European route of brick Gothic. Due to the high number of young inhabitants and students the city of Greifswald is already a „bycicle town”. Within an survey in 2009 by the city council about the means of transport mostly used by the inhabitants the result was that 44 % of the participants of the survey use the bike, 24 % use the car, 9 % are car passengers, 21 % walk by foot and 2 % use the public transport. But nevertheless a lot still has to be done to make the transport more sustainable. A heavy discussed topic was especially the „Europe-crossroads”and its reconstruction for the improvment of the bike traffic. This could be one of the topics to discuss at the summer camp.